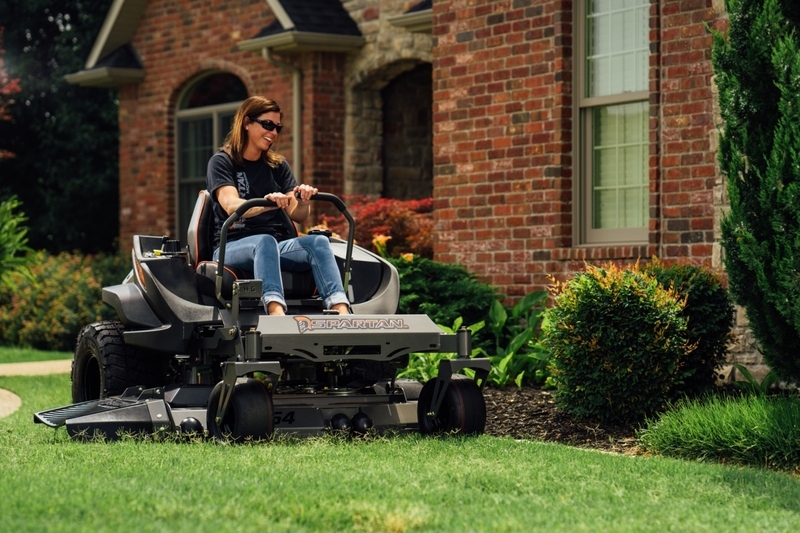 Seasonal and routine zero-turn mower maintenance is the key to keeping your Spartan Mower running smoothly season after season. Not sure what to do? 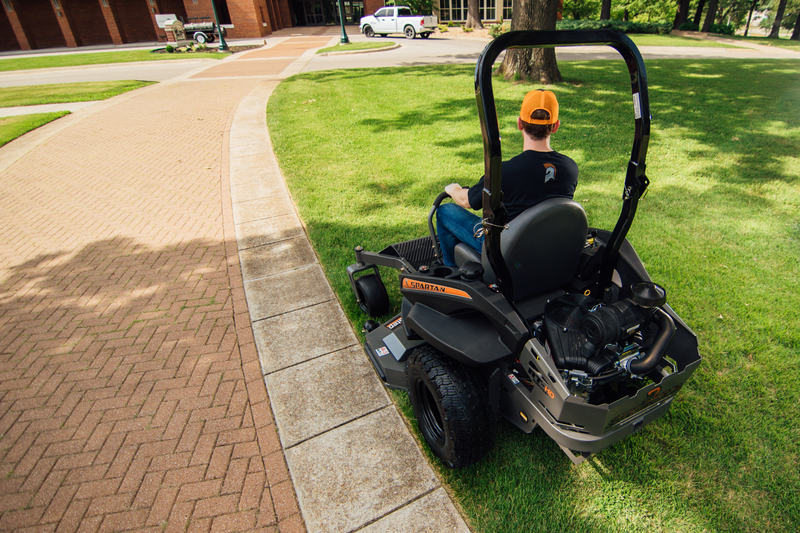 Here are a few things to keep in mind when preparing your Spartan Mower to be stored for the off-season and how to get it ready when the grass starts growing again in the spring. The engine is the heart of your Spartan Mower. By taking care of your engine properly, you are helping to ensure that your mower is ready to go when it’s needed and keep it out of the shop. 1. Fuel becomes stale after 30 days and can damage parts of your engine. If you are not going to drain the fuel from your engine, a fuel stabilizer must be used. Add the stabilizer according to instructions and run the engine for 2 minutes to circulate the stabilizer throughout the fuel system. 2. If no stabilizer is used, the fuel must be drained into an approved container. Then, run the engine until it stalls from lack of fuel. 1. Change the oil and oil filter while the engine is still warm. 2. Replace the fuel filter if it has not been replaced in the previous 200 hours. 1. Remove the spark plugs and pour a teaspoon of clean engine oil into each spark plug hole. Replace the spark plugs but do not reattach leads. Crank the engine with the starter several times to distribute oil throughout the cylinders. 1. Clean cylinders, fins, blower, housing, and muffler to remove dirt and chaff. 2. Wipe the exterior of the engine with a clean oily cloth. 3. Ensure that all caps are secure. Storing your zero-turn mower for the off-season can be tricky for some. However, it is important that to store your mower in a dry place where it is protected from the elements and wildlife. Once the temperatures start getting warmer and the grass gets greener, many are waiting anxiously to mow for the first time. However, there are a few things that need to be done before starting up your Spartan Mower the first time following storage. 1. Clean your mower. There are many people who clean their mower before storing it. However, dust and other things can accumulate even in storage. Before you get your Spartan Mower going for the season, clean your mower thoroughly, removing dirt and debris. Compressed air is recommended since using water on certain areas can cause damage to electrical components. 2. Ensure that engine oil and hydraulic fluid levels are correct. 3. Install a fully charged battery and attach the battery cables. 4. Fill the fuel tank with fresh fuel. Start the engine and run the machine at half throttle for 5 minutes. Check steering control levers. Stop the engine and check for any loose fittings, leaks, or any other problems. 5. Check that all bolts are tight and that all pins are secure. 6. Install all safety shields and review safety precautions. 7. Check and inflate tires to proper pressure. Purchasing a zero-turn mower like a Spartan Mower is a big investment. By following these guidelines before and after each mowing season, you can greatly increase the longevity and efficiency of your mower and keep it out of the shop. Need help? Don’t have time for maintenance? If for some reason you are unable to get your Spartan Mower prepared for storage in the off-season and/or get it ready to go in the early spring, give your local Spartan Dealer a call. They can set up a time to have your zero-turn mower properly serviced.